White Wolf : Over a Quarter of Yellowstone’s Bison Are Set to Be Killed this Year! Over a Quarter of Yellowstone’s Bison Are Set to Be Killed this Year! Yellowstone National Park officials want to cap this winter’s cull of bison that migrate out of the park at a little more than a quarter of their August population count, according to a report they released late last week. In the park’s bison status report, officials made a suite of management recommendations for this winter, including capping the total bison killed through hunting and shipping to slaughter at 1,250. Yellowstone National Park has long been a safe refuge for bison, but these populations are being targeted by governing authorities. Yellowstone’s biologists counted 4,816 bison at the park this past August, which is a major drop from the 5,500 counted in 2016. And now officials have ordered for the capture and slaughter of 1,250 of these remaining bison, which is over a quarter of the bison population in Yellowstone. When pressed to explain the logic behind this senseless mass capture and slaughter, officials gave bogus excuses akin to those used for culling and slaughtering America’s wild horses – to protect cattle. Supporters of the bison hunt falsely claim that Yellowstone’s bison spread a disease called brucellosis to cattle, a claim that has been widely disproven by scientists. Bison first contracted the disease from domestic cattle in the early 20th-Century, but the prevalence is now very small within herds, has little impact on the health of the wild animals, and there has been no single case of evidence that shows that wild bison have ever spread the disease to domestic cattle. Yellowstone has been trying to set up a quarantine operation that would allow bison to be moved to tribal reservations as an alternative to slaughter. They’re holding a few dozen bison for that possibility, although it’s not yet clear when that program will be up and running. 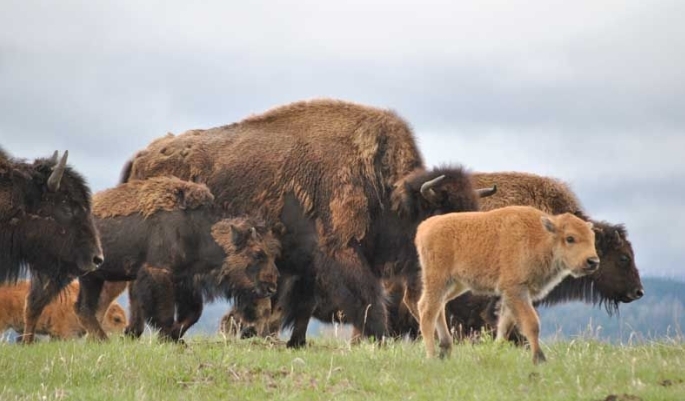 Responses to "Over a Quarter of Yellowstone’s Bison Are Set to Be Killed this Year!" Please don't, they are part of America's history. Something we'll never get back! Let me have some or all. I will pick them up? Remove the animals to tribal grounds for the use of the Native Americans as ancestral food source.